Turkish President Erdoğan met Aug. 15 Qatar’s Emir Tamim bin Hamad al-Thani at a working lunch which was also attended by Turkey's Treasury and Finance Minister Berat Albayrak. 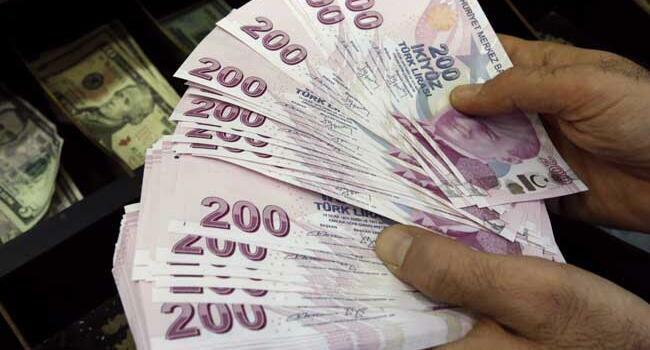 Turkey has engaged in a fresh diplomatic attack against the sanctions imposed by the United States with President Recep Tayyip Erdoğan in talks with prominent European and Gulf countries in a bid to seek more support as the Turkish Lira falls rapidly against the U.S. dollar. Qatar’s Emir Tamim bin Hamad al-Thani paid a snap visit to the Turkish capital on Aug. 15 for talks with Erdoğan after a phone exchange the two men held late Aug. 13. Bilateral relations and regional developments were discussed in the working lunch that took more than three hours. Turkey's Treasury and Finance Minister Berat Albayrak also joined the meeting. The Emir pledged a direct invesment worth $15 billion to Turkey, a presidential source said. 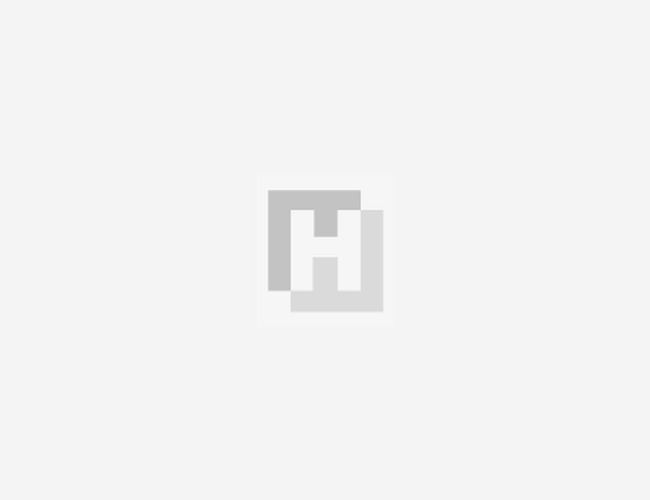 Merkel said on Aug. 13 that Germany benefits from an economically stable neighborhood. 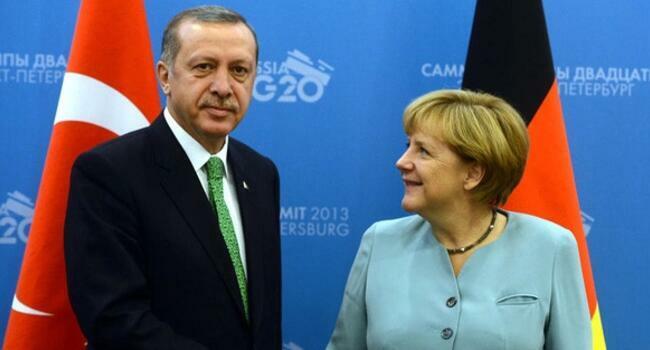 “Germany wants an economically prosperous Turkey. That is in our interests, too,” she said. “No one ... has an interest in an economic destabilization of Turkey, but of course everything must be done so that, for example, an independent central bank can work and so on,” said the German chancellor. All this diplomatic traffic comes as Turkey’s national currency has lost around 40 percent against the U.S. dollar in recent weeks as a result of U.S. President Donald Trump’s imposition of sanctions against its NATO ally over the continued detention of U.S. pastor Andrew Brunson. 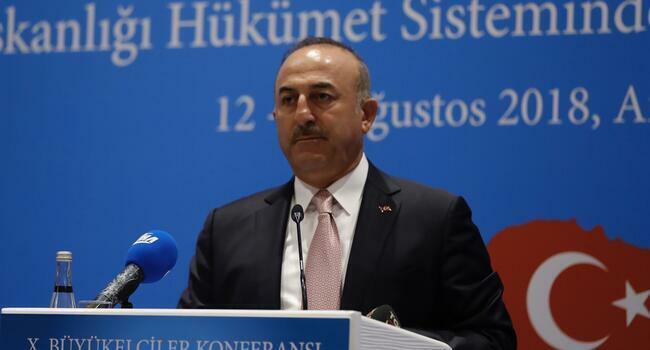 Turkey’s Foreign Minister Mevlüt Çavuşoğlu also hailed the support lent to Turkey in its economic and political row with the U.S. at a press conference in Ankara on Aug 15. “In fact, all these incidents have opened the world’s eyes. They have seen once again how the current American administration can disrespectfully use its economic power against countries,” Çavuşoğlu said. “That is why everyone is now trying to find a way to quit using the dollar [in trade],” he added. European countries who are aware of the fact a strong Turkish economy is to their advantage do not want Turkey to enter an economic crisis, the minister said. “We will of course continue to exert efforts for diplomatically resolving our problems. But we will not give in against pressure and impositions,” said Çavuşoğlu. Turkey and Qatar enjoy a unique relationship in the region. Turkey, which has a military base in Qatar, rushed supplies to the Gulf state after Saudi Arabia, the United Arab Emirates, Bahrain and Egypt imposed a boycott in 2017. Qatar is allied with the West. Qatar’s banking sector has considerable exposure to Turkey, whose currency has lost nearly 40 percent this year. Qatar National Bank, the Middle East and North Africa’s largest bank, in 2016 completed the acquisition of Turkey’s Finansbank. Now, around 15 percent of QNB’s assets and 14 percent of its loans relate to Turkey, according to Arqaam Capital. Commercial Bank, Qatar’s third largest bank by assets, has been deploying more capital and focus on its Turkey business in a bid to benefit from closer political ties between the two countries. The lender owns Turkey’s Alternatifbank.